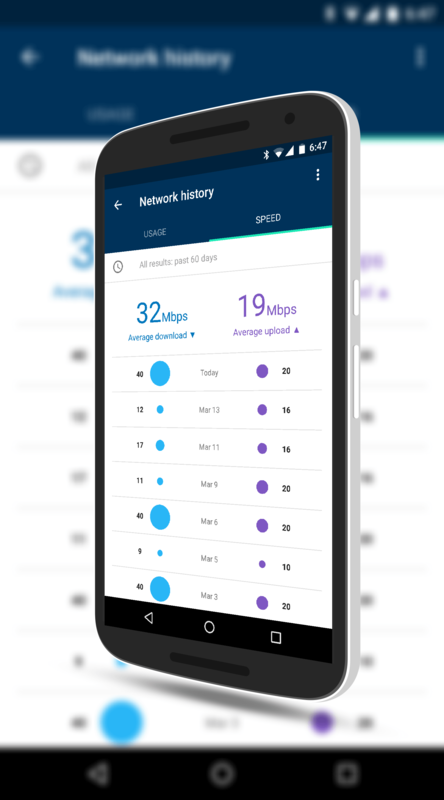 Google has released an update to the OnHub app for Android that brings you historical data on your network connection testing. The update you are looking for is version jetstream-BV10057_RC0007 for those keeping score at home & who like Google Version Naming Bingo and it is available now in the Google Play Store. The OTA is also rolling out so you should have the update soon if not already. If you read my review of OnHub, you know that you can do some testing of your network connectivity within the app to give you an idea of what your download and uploads speeds are through your ISP. The idea is to see how close you are getting to what you are paying for through your provider. This particular part of the app I was critical of in my review because the results were wildly inaccurate. That, it seems, has been resolved in this update as well. For the historical testing results, you can go back up to two months and this will be comprised of tests that you did yourself as well as the tests that OnHub did automatically. The results screen is split vertically with your download speeds on the left and your upload speeds on the right. At the top of each column you will see your averages over the course of the past 60 days. The Network History also has a Usage tab which you can see the amount of download and upload usage you have had up to the last 30 days all the way down to real time. You can access the Network History either by tapping on the OnHub device icon in the app or by running a network test which will take you to the page after the test is complete. While OnHub still have a massive amount of unrealized potential, these small updates to the app and to the firmware to bring things like Guest networks are steps in the right direction. I personally love mine and if you want easy-to-use Wi-Fi networking and don’t want to have a lot of knobs to turn to make it happen, it certainly could be the device for you. Read my review first though. If you are a tinkerer, you may be disappointed.